Like want to hang out a lot in the basement. While noticing the alarming amount of spider webs and dead bugs on the floor (someone really ought to be cleaning down here), I peeked into the creepy window wells. Of course, if one goes looking for trouble, she's sure to find it. In one I saw a big toad. In the other, a rabbit. 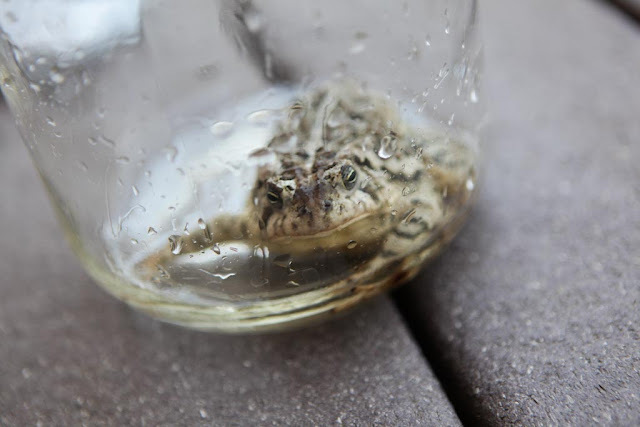 As it turns out, toads in window wells are easy to catch and rescue and douse with a little cool water before releasing back near the pond. Rabbits? Not so much. Nor easy to coax into a large bucket filled with freshly picked lettuce. 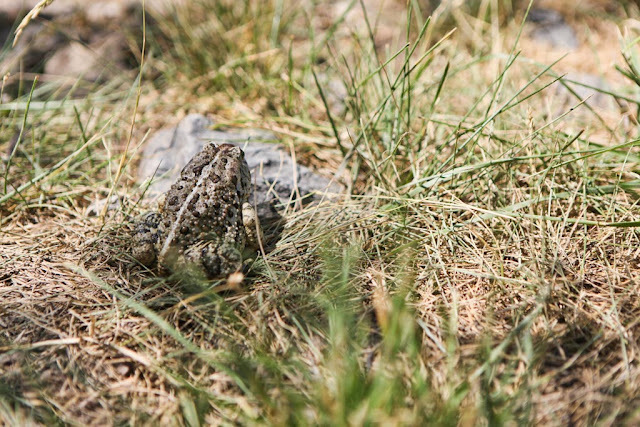 If there were to be a hopping contest between a toad and a rabbit, the rabbit would most certainly win. Alas, this poor rabbit could not hop quite high enough to get back out of the well into which she fell. Not to worry, though, she's free now, too. And headed straight for my garden. While on the other side on the world, unseasonably cold weather is turning me into a homebody. I didn't want to come out from under the covers this morning...perhaps I just needed to have someone coax me into the kitchen (with porridge and tea, instead of lettuce) like a lost rabbit. 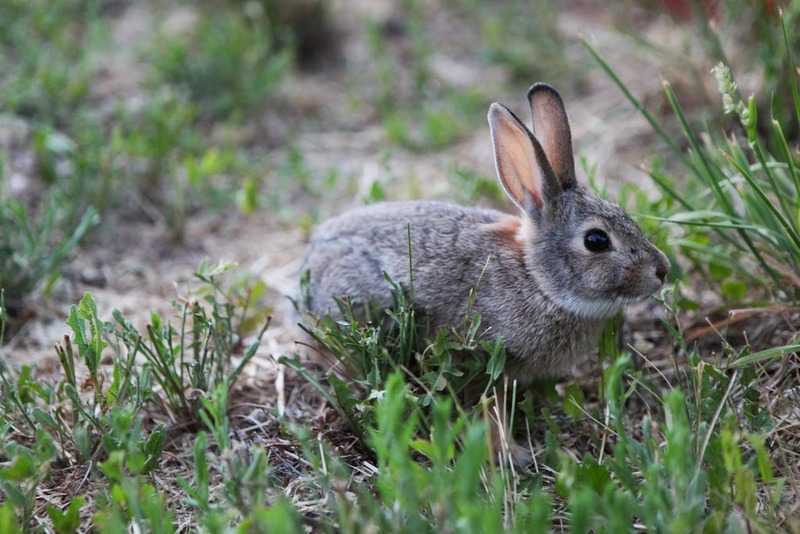 Mmm, your garden will be delightful for one grateful little bunny. What an odd day! Sheesh, good job at catching them! In those moments I always find myself pleading foolishly with the creature in question. "Don't you know I'm trying to help you???" They never seem to get it. And bunny says thanks for the grub in the garden! 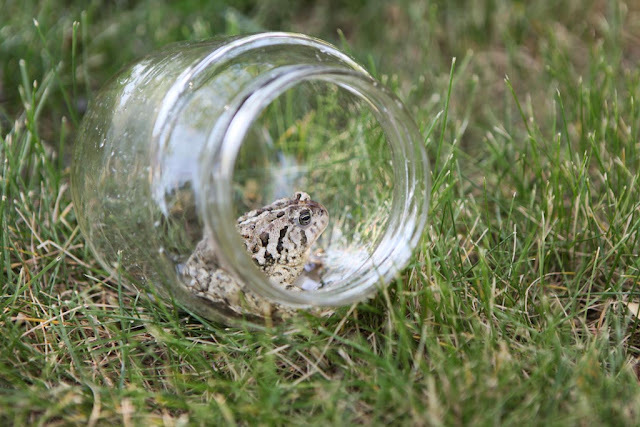 Great photos of the "capture and release"...I can understand a frog getting in...but a bunny? How on earth? I am so glad you were down there to get the poor things out. I am so tender hearted that I can't kill anything...not even the bugs eating my garden! I pick of the the leaf they are eating (to give them some going away food) and take it deep into the woods away from the garden....my nickname in highschool was "set it free"! 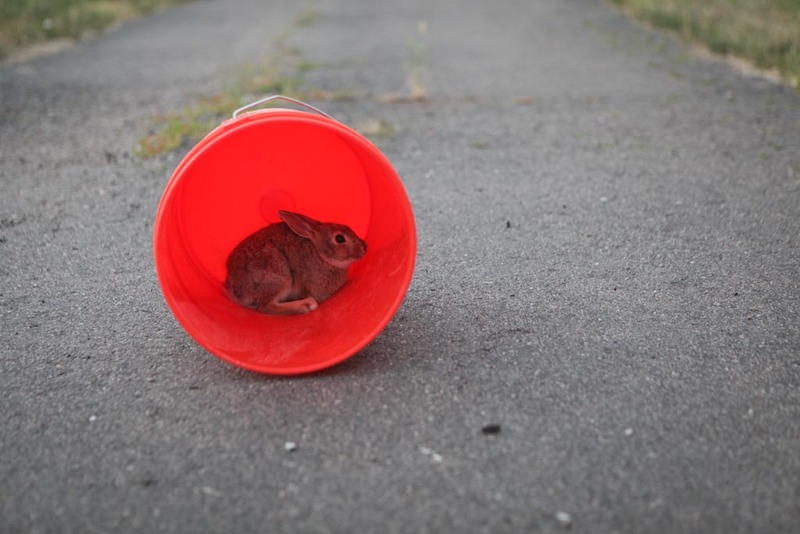 Awww :) We kind of had to get inside the window well and scoop the bunny into the bucket! Rabbits are so cute. But so destructive. Toad on the other hand, are not the least bit cute. But so helpful. Now why is that?!?! You are such a kind soul, Jamie. 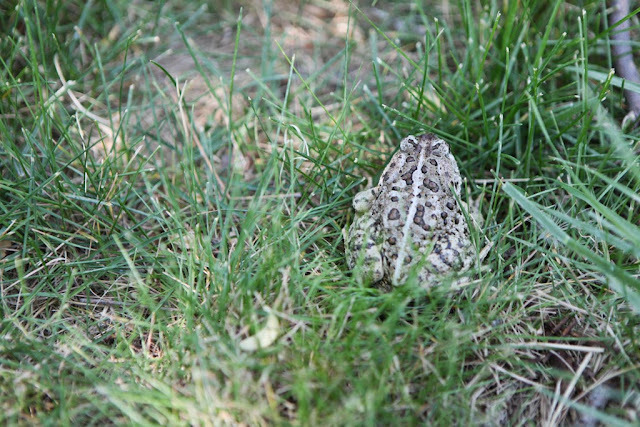 Good on you for helping the wee critters (even if they do then make a line for the garden!). We've been spending more time in the basement ourselves. Its so nice to have a place to escape to! The first couple month in the new house we hardly spent any time down there. I guess we were focused on the garden space and the main living areas on the first floor. But, in rolls a heat wave and suddenly I am spending all sort of time down there. Yes, there were cobwebs and dead bugs to clean up at my place as well. Sweet critters! How hot has it been there? I really don't remember the last time it rained. I'm really thinking the impending burn bans are a very good thing, even though they typically shouldn't take effect here in Indiana until August or so! 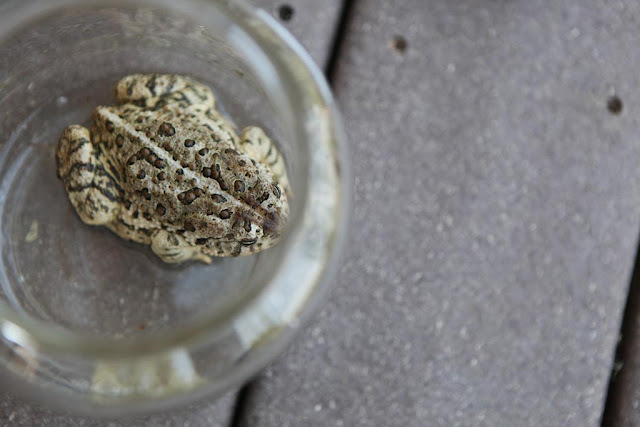 Their survival instincts brought them straight to your home—lucky for sure!